Gabriel Bejjani, pastor of Riverside SDB and Clint Brown, Missionary Society’s Executive Director are preparing to travel to Poland and Lebanon Oct 5-19, 2017 as ambassadors of the SDB global family. Pastor Gabriel traveling with his wife Hayat will then extend his trip into parts of Syria before returning to the USA. In addition to the general objective of spreading the Gospel, they will be representing the World Federation in ongoing dialogue with the Polish SDB Conference to strengthen relations. Pastor Gabriel, under God’s leading, has made several trips to these areas, ministering in Lebanon and Syria predominantly to Muslim refugees from Iraq and Syria. 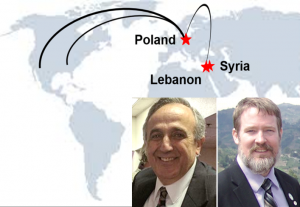 There are as yet no SDB groups established in Lebanon or Syria, so Clint is accompanying Pastor Gabriel to explore the ministry opportunities there. 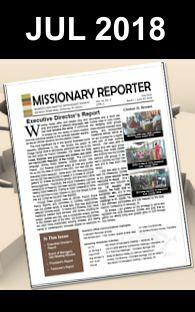 Your prayers and financial support are needed to help propel these missionaries to spread the Gospel and strengthen ties.